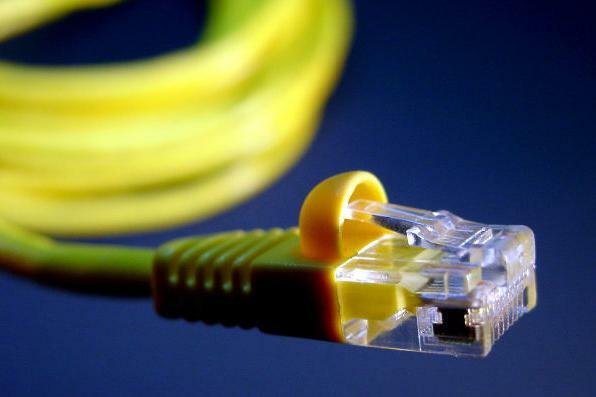 Naked ADSL gives you broadband Internet without pesky line rental fees. We explain what you need to know before making the leap. There's no doubt that Naked ADSL is often good value for money, as you will only have to pay the ISP for the plan that you are on. For example, a regular ADSL2+ plan from iiNet, which costs $69.95 per month and provides a 55GB data allowance, really costs you $97.90 when you factor in line rental. If you were to choose a Naked ADSL plan for around $90, you would get 120GB of data allowance as well as a VoIP service. Or, if you wanted to only spend $69.95 on a Naked DSL plan, you would get a 60GB data allowance; still better value than a standard ADSL2+ plan. It is important to also note when and where your data is being counted. For instance, some ISPs like iiNet count uploads as part of your quota on naked plans. If you regularly upload YouTube videos, use file sharing programs like BitTorrent or access your home computer remotely over the Internet, this is likely to affect your quota. Some ISPs also offer Web sites and services that you can access without it counting towards your monthly quota. iiNet, for example, allows users to watch ABC's iView service as well as any services included in its Freezone without it chewing up your monthly data allowance. Large data quotas are often split up into peak and off-peak times. How these quotas are split up and when the peak and off-peak times are differ between ISP. Some ISPs split the day evenly into peak and off-peak periods, while others only offer as little as five hours per day in which to use the majority of your data allowance. If you'll be using the Internet mostly during the day, it's worth considering a plan that does not have separate peak and off-peak data allowances (such as Internode), or one where more data is offered during the day than at night. If you go over your quota, most ISPs will shape your Internet speed to a set limit, often at 64 kilobits per seconds (Kbps) or dial-up speeds. Some ISPs allow you to purchase more data if you breach your monthly quota; Exetel is one such provider. Naked ADSL runs at ADSL2+ speeds because it is connected to ADSL2+ enabled equipment at the telephone exchange. This means you can get speeds ranging from 1.5Mbps (megabits per second) to 24Mbps on your line. The speed you get will vary due to the condition of your copper wire and how far away it is from the telephone exchange. The farther away it is, the slower your speed is likely to be. Some ISPs say that speeds will suffer greatly (or you might not be able to get the service at all) if the copper line is more than 4km long, while other ISPs like Internode say they can supply fast speeds up to 7km. The distance from your home to the exchange is not a good indicator of the length of your copper wire, as it is not usually a direct path between your dwelling and the exchange. When selecting a Naked ADSL plan, you won't need to pick a speed; all plans will work at up to ADSL2+ speeds. All you will have to select is the data allowance that you require per month, as well as any additional services you might require. The cost of setting up your Naked ADSL account can be a deal-breaker in some instances, as it can range from $40 up to $240 depending on the ISP. Some ISPs discount (or waive) the set-up fee if you opt for a 24-month contract; this is a good option if you own your home and know that you won't have be moving in a certain time. The set-up cost covers the call-out fee for a technician to enable the connection at the telephone exchange. Any ADSL modem can work with a Naked ADSL account, and you can either supply your own modem or purchase one from your ISP at the time you sign up for your account. If you use an ADSL1 modem, then the maximum speed you can reach will be 8Mbps; if you use an ADSL2+ modem, your modem will be able to support speeds up to 24Mbps. Unlike a regular ADSL2+ connection, you won't have to use any filters on your phone line, as the modem will be the only device on it (filters are only required on regular phone lines between the line and your home phone). If you plan to use VoIP, then you will need either a modem with a built-in VoIP function, or a separate analog telephone attachment (ATA) that plugs in to your ADSL router and allows you to use VoIP with a regular phone handset.